One bad apple can spoil the whole bunch. That’s basically how I feel about Other Desert Cities, the Jon Robin Baitz play that is now on Broadway after an acclaimed run off-Broadway last season. It’s not that any of the characters are the rotten apple; rather, it’s an actor. When Other Desert Cities ran off-Broadway, the talented Elizabeth Marvel took on the role of leftie Brooke Wyeth. (I bet she did a fantastic job.) Unfortunately, Ms. Marvel is not on board for the Broadway transfer. Instead, Rachel Griffiths makes her Broadway debut, and I think the production is weaker for it. The Brooke character is basically the catalyst for everything that happens. Sure, there’s plenty of family history and a complex dynamic that help to propel the plot, but basically Brooke is at the center of things. Brooke, who lives in Sag Harbor, is the daughter of Polly and Lyman Wyeth (Stockard Channing and Stacy Keach), Palm Springs retirees who enjoyed a successful life in entertainment and politics. (They were friends with Ron and Nancy.) It’s Christmas 2004 and Brooke and her younger brother, Trip (Thomas Sadoski), are visiting their parents, who are also hosting Polly’s recovering alcoholic sister, Silda Grauman (Judith Light). Familial politics and secrets from the past come to light when Brooke presents galley copies of her soon-to-be-published memoir, which focuses on a rarely talked-about family tragedy. So, you see, Brooke is the catalyst for the action, and Griffiths’s lackluster performance is a detriment to what could be an interesting play (which is directed by the superlative Joe Mantello). Sure, the play devolves into a bit of a soap opera in the second act, but with Brooke in better hands, I would have been more invested in her character, and therefore her interactions with everyone else. Griffiths, a native Aussie, does a very convincing American accent, but perhaps by concentrating on her accent she’s forgotten how to do anything else with her voice. Rather than using various intonations, Griffiths uses volume as a way to express Brooke’s roller coaster emotions. Griffiths seemed disengaged with everyone else on stage, and I found it impossible to take an interest in her troubles. Stoackard Channing, Stacy Keach and Judith Light all turn in reliably good performances. (Ms. Light is taking on the role that Linda Lavin created off-Broadway. Ms. Lavin is busy nailing it as matriarch Rita Lyons in The Lyons.) In particular, I got a kick out of seeing Stockard Channing. As a The West Wing aficionado, I delighted at the chance to watch Dr. Abigail Bartlet on stage. She absolutely commanded the stage, and in more than one moment, I could see that she’d make a fantastic Lady Macbeth. 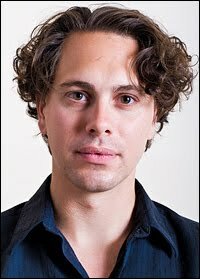 Creating the Wyeth home is in-demand scenic designer John Lee Beatty. He fills his set with nary a straight line. The walls are curved. The sectionals are rounded. The coffee table and side tables an oval and a circle, respectively. This made perfect sense, as the Wyeths and Aunt Silda seem to continually have the same conversation; the circular dialogue always leads them back to the same place. Moreover, since we’re dealing with family, there are comparisons between mother and daughter. Lyman tells Brooke she’s just like her mother, proving once again that everything comes full circle. That was just one of the many symbols the creative team wove into this play. 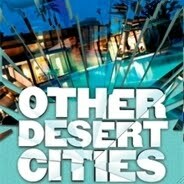 And so Other Desert Cities (this title refers not only to the Palm Springs area but also to several volatile desert cities over seas) wasn’t a total bust. There is sharp writing, dramatic family dynamics and stand out performances from some. But that one bad apple keeps me from giving this a whole-hearted recommendation.